A memorandum of understanding on talent cultivation cooperation was concluded by high schools and universities from Taiwan and Vietnam Dec. 24 in the southern city of Kaohsiung, highlighting growing educational links between the two sides in line with the New Southbound Policy. The pact was inked by 10 universities and 20 senior highs in Taiwan and 17 high schools in Vietnam. Under the accord, the institutions will work to expand collaboration in areas spanning online learning, student exchange programs and teaching methods, according to the Ministry of Education. Participating schools have also agreed to jointly develop courses aimed at deepening cross-cultural understanding, the MOE said. 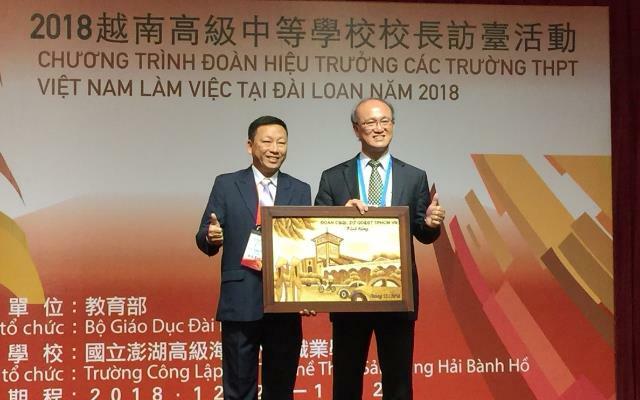 It is expected that these efforts will help enhance academic, industrial and people-to-people ties between Taiwan and Vietnam, the ministry added. The accord was signed during a weeklong tour of southern Taiwan by a delegation of education officials from the Southeast Asian nation. In addition to the signing ceremony, the trip comprises seminars and discussions on issues spanning Taiwan’s selection process and training programs for school principals and specialized classes for children from new immigrant families. The delegation is also scheduled to tour tertiary institutions including National Kaohsiung University of Science and Technology, as well as stay at a hotel managed by students and teachers of National Hengchun Vocational High School in southern Taiwan’s Pingtung County. A key plank in the government’s national development strategy, the NSP is enhancing agricultural, business, cultural, education, tourism and trade ties with Association of Southeast Asian Nations member states, six South Asian countries, Australia and New Zealand.